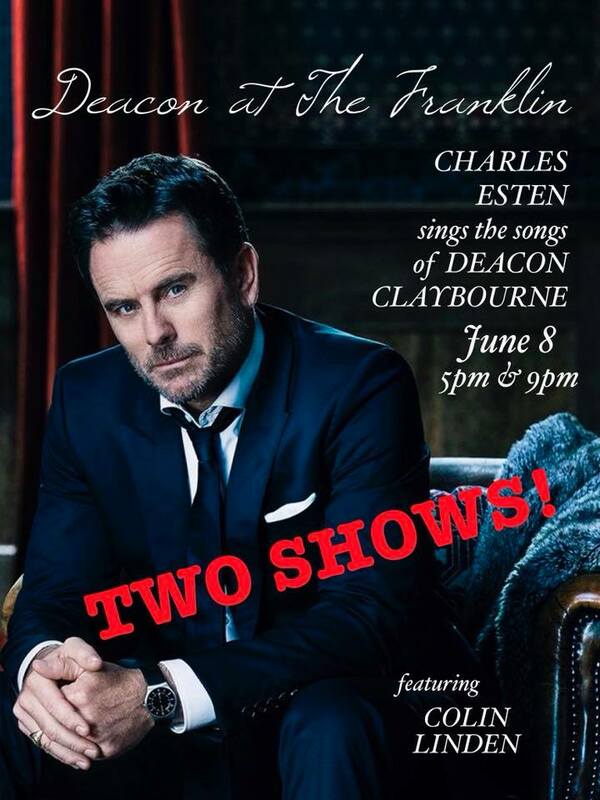 Charles Esten to Perform the Songs of Deacon Claybourne During CMA Fest Week! Charles Esten of TV's NASHVILLE (ABC/CMT) will sing the songs of Deacon Claybourne at the Franklin Theatre on Friday, June 8, 2018 during the CMA Music Festival! This venue is located in Franklin, TN which is about 20 mile outside of Downtown. This is a can't miss show for fans of NASHVILLE!